Contact our offices at (415) 485 - 5583 for rates and availability. Our entire facility and the rose garden are available for private parties, fundraising and corporate team building. Our many amenities can be mixed and matched to provide varied and more flexible rental packages. 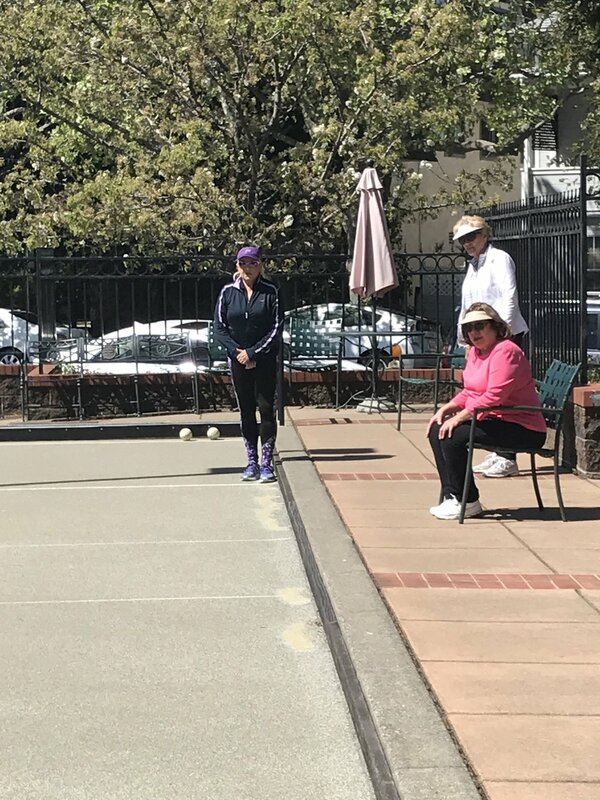 Ask us how Marin Bocce can help with successful fund raising events and bocce tournament management. Resident players, Tommy and Bill, enjoying a beautiful at the courts. Carmen, enjoying a beautiful day at bocce. Stanley lagging in for the point! Sign up for a Clinic with National USBF Champion, Diana Pellegrini! Free for league players, sign up in the office. Clinics are held on specific Friday mornings. 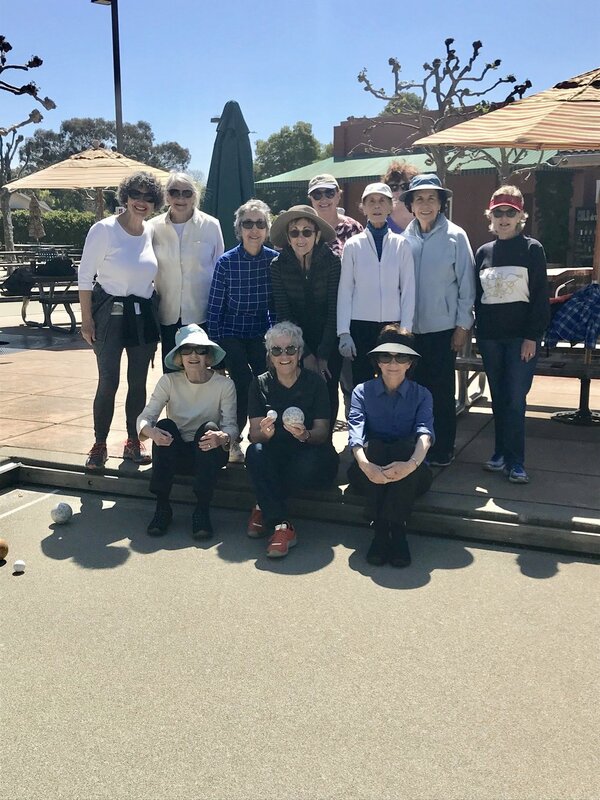 There is nothing better than playing bocce with your friends! The garden can comfortably accommodate groups of up to a maximum of 60 people. Rent the garden along with other facility amenities or use it exclusively for events both midweek and weekends. There is low-voltage path lighting with 110 voltage lighting in the gazebo. The Rose garden currently rents for $75 per hour. The Rose Garden provides a beautiful setting for weddings and other special outdoor events.